MultiChoice is the home of world’s top leagues in the 2018/19 football season, starting this August on DStv and GOtv, with Supersport. MultiChoice Namibia is gearing up to deliver some of the most action-packed football from the best players in the world, when the new, and already momentous season, kicks off in just over a month. As the 2018 FIFA World Cup draws to a close, interest in the upcoming European football season is ramping up. With the dramatic news that Cristiano Ronaldo has signed with Italian club Juventus all eyes are now shifting to the Italian champions and a revitalized Serie A. Ronaldo, one of the world’s most popular and expensive players will be looking to make his mark on the Italian competition and further build his claim as one of the greatest players of all time. (Insert country) football fans will be able to follow Ronaldo and all 380 games of Serie A onDStv and GOtv, withSuperSport. Availableonlyon the DStv and GOtv platforms,theSuperSportchannels arethe only place to watch comprehensive coverage of the most loved football leagues with hundreds of games from the Premier League, La Liga, Serie A, UEFA Champions League and this seasons debut of the UEFA Nations League. In addition to the news of the Serie A return, Multichoice will also be introducing more live football from other leagues, to the DStv Access and Family, and GOtv Plus and Max bouquets. DStv access and GOtv Plus customers, will now have access to over 220 live games per season, with two games each from the Premier League, La Liga, and Serie A. The new football season gets underway on DStv and GOtv with SuperSport next month. Keep an eye out for the pre-season games to whet the appetite, and fixtures to find out when your favorite teams will be playing in superior DStv and GOtv quality. The home of the Premier League on DStv will be SuperSport 3. Our DStv Compact customers and above will have access to the best matches of each round. Our GOtv Max and Plus, as well as DStv Access and Family customers, won’t miss out either, with access to twice the number of live Premier League matches as last season. DStv subscribers from Family to Premium will have font row seats to all LaLiga games. This year, DStv Access viewers will be able to catch even more of LaLiga with a second game per week being added to the package. On GOtv, Max is the home of the Spanish league and all the best games will be available on the package, while Plus customers can tune in twice a week for selected matches. The best matches from the league can be viewed live from DStv Compact Plus upwards, and all other packages will have access to selected games. From this season, GOtv Max viewers and DStv Family customers, can catch up to two UEFA Champions League games per week. DStv Family customers have a boosted offering of Serie A and will see all the matches, while Access customers will be able to catch two games a week. GOtv Max can comfortably embrace the Italian league’s introduction to the platform as they can also view all the best matches. GOtv Plus customers can enjoy two games a week. Don’t miss the 2018/2019 football season on DStv and GOtv Visit www.dstv.com and www.GOtvafrica.com to subscribe or upgrade, and join in on the excitement. Entertainment is a powerful way to tell stories that open our minds, bring people together around shared passions, and connect us to new realities. It makes us laugh and cry. It informs, it educates and it inspires. MultiChoice is a video entertainment company, and our purpose is to use the power of entertainment to enrich lives. We make the best in entertainment accessible to millions of households in 49 countries across Sub-Saharan Africa. We do this through cutting-edge technology on our DStv and GOtv platforms – delivering the content our customers love and contributing to the success of local economies. Born and bred in Africa, we are rooted in the countries where our customers live. We are managed and run by local people, and strive to provide all our employees with new opportunities. We’re proud of the contribution we make to our communities, and our business has grown hand-in-hand with local economies by forging long-term partnerships with governments, national broadcasters and entrepreneurs. We want to use our influence and resources to play a positive role in Africa, helping to grow Africa’s people and creative industries into vibrant, economic powerhouses. It’s by creating value for our customers, our employees and society that we’ll build a successful business for the future. 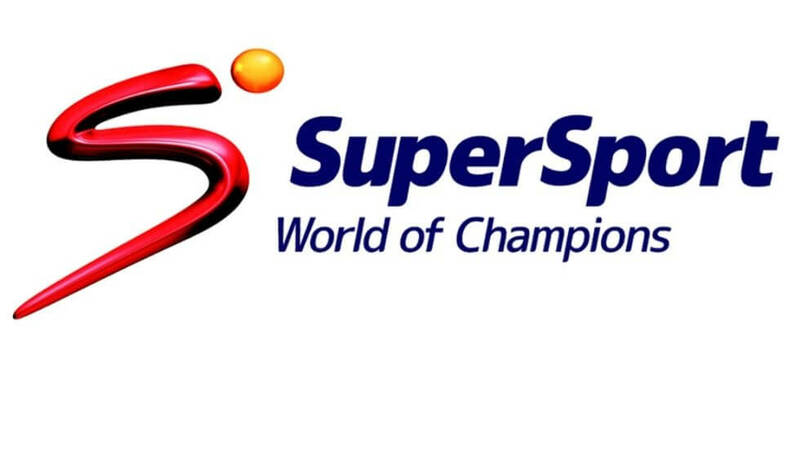 SuperSport is Africa’s premier sports broadcaster, producing and broadcasting local and international sport for GOtv and DStv pay TV customers across sub-Saharan Africa. SuperSport provides a mix of 35 channels, offering a wide selection of the best local and international sport action across a multitude of disciplines. Now available on DStv and GOtv as well as on SuperSport.com and DStv Now in 50 countries across sub-Saharan Africa.